BBC Radio Two’s Jeremy Vine Show on Bank Holiday Monday featured a piece devoted to orthodontic dentistry for adults, and in it he discussed with a top orthodontist how people of any age can improve their teeth and their smile simply by the use of orthodontic braces. He even mentioned that Tom Cruise had his teeth ‘fixed’ after he turned forty. 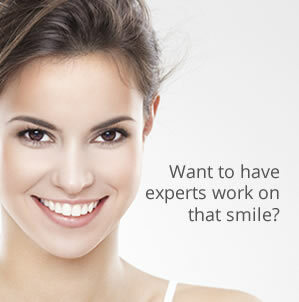 So are there more adults now looking to improve their smile through orthodontic dentistry? At Carisbrook Dental, as one of the leading Orthodontics Manchester specialists, we can positively say that … yes they are! As the orthodontist on the radio said, “Braces can improve anyone’s smile and there is no age limit.” In fact one lady phoned the programme to say that she underwent orthodontic treatment at the age of 64 and it was the best thing she’d done! Here at Carisbrook we are getting an increasing number of adults coming in to talk to us about orthodontic treatment to improve not only their smile but their all round dental health and one of the major reasons for this surge in interest is that today it no longer means they have to wear those conspicuous metal braces most people still associate with orthodontics. New technology means our Orthodontics Manchester service can provide the most discreet treatments you can imagine, which now include: Lingual Braces that fit to the inside surface of your teeth so that they are totally invisible. We can also show you the most discreet Clear Braces that are so inconspicuous they can hardly be seen. Invisalign Braces are also an alternative ‘invisible’ solution and they are convenient, removable, affordable … and very effective. At the end of your treatment you’ll find that your teeth will have been very gently nudged into their natural position to create the smile you’ve always wanted and by re-aligning your teeth you’ll also be able to brush your teeth more efficiently meaning they stay cleaner, whiter and remain healthier. Why not take this opportunity to speak to Carisbrook Dental, the leading Manchester Orthodontics specialists, to arrange an appointment and discuss without obligation all the various options available to you. Just give us a call on 0161 951 7295 or go to our Contacts page where you can send us a message.